A parolee is in custody today at the Sacramento County Jail after being arrested on several charges including car theft, violating parole, and an outstanding arrest warrant. Shortly after 8 p.m. on Saturday, January 21 Elk Grove Police officers located a vehicle in the 3400 block of Laguna Boulevard that was reported stolen. 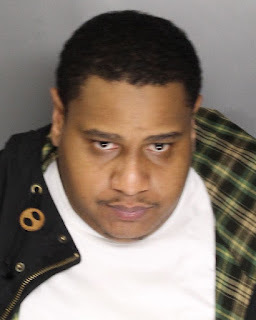 Officers developed information that 25-year old Jeremy David Joseph (pictured above) of Stockton had driven the vehicle to the location and was inside a business. Officers located and detained Joseph as he was leaving the establishment and was found to be in possession of the keys to the stolen vehicle. Joseph allegedly provided false information about his identity, and once his identity established, records check revealed that he was on parole and had an outstanding arrest warrant from the Gilroy, Calif. Police Department. Joseph is ineligible for bail and faces two felony and two misdemeanor charges with arraignment scheduled for Tuesday, January 24.